Financial. When it comes to building a sufficient nest egg to subsidize the retirement lifestyle you desire, there are numerous schools of thought prescribing how much you need to save. The bottom line is you will need to cover your living expenses with a combination of investments, savings and possibly work. As you establish your budget for retirement, some basic expenses like food, water and electricity can be estimated relatively easily. Remember to take into account inflation and likely higher rates down the road. Once you retire, some expenses will go away such as college for the kids, commuting costs and hopefully your mortgage. Others costs like health care will take a bigger bite out of your budget as you age. As you plan for retirement, remember to budget for the activities that are most important to you. If you love to travel, make sure there is enough cash in your budget for that. Also remember to set aside a cushion to help mitigate unexpected costs that can otherwise put a damper on a happy retired life. Family and friends. When you leave the working world you often find yourself separated from co-workers that have been a big part of your life. You no longer share the common bond of a job, so your interests may begin to diverge. Finding time to get together can become challenging. Saying goodbye to this important aspect of your social life can leave a void when you retire. It is important that you have other relationships to fall back on or to develop new interactions. This is a time when family and friends become increasingly important. Retirement can also be an opportunity to reconnect with friends or family members you drifted apart from during a busier period of life. Making new friends outside of work can be challenging but also rewarding. With new interests and passions to explore as a retiree, you will meet other like-minded individuals to share your experiences. If you are willing to put yourself out there and make an effort, you should be able to expand your social network. Instead of work talk, you will find yourself discussing what truly interests and excites you with someone equally as passionate. Take a look at the many organizations, clubs and volunteer opportunities in your area that might be able to put you in touch with other people who are similarly inclined. Fun. Retirement should be your chance to do what you want and enjoy your days. An important ingredient of a happy retirement is to prepare in advance. Try to figure out ahead of time what you will do with your new freedom. Figure out how you will stay engaged in meaningful activities during your second act. Revisit hobbies, passions and dreams you had but could not pursue while working. Now you have the time. Think of new areas to explore such as travel, art, cooking or dance. Plan to expand your knowledge with lifelong learning opportunities that allow you to study areas that interest you. With decades of retirement awaiting you, don't leave your retirement to chance. Fear. Growing old is often difficult, and there are many challenges you will face. Some areas to consider include the possibilities of becoming less independent as you age, outliving your spouse, developing significant health problems or having to move from your current home to downsize or because you can no longer live safely on your own. Think about the problems that might occur, and develop a plan to cope with them if they do. Retirement will ideally be a wonderful time of exploration and new experiences, but there will inevitably be some hardships as well. 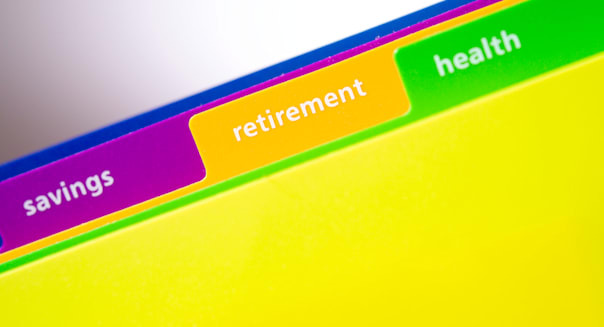 A little advance preparation for these challenges can improve your retirement lifestyle. Dave Bernard is the author of "I Want To Retire! Essential Considerations for the Retiree to Be." Although not yet retired, he focuses on identifying and understanding the essential components of a fulfilling and meaningful retirement. He shares his discoveries and insights on his blog Retirement-Only The Beginning.